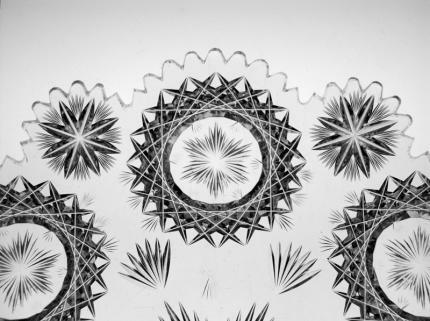 The North Star pattern is one of Hawkes’ most popular designs and for good reason. 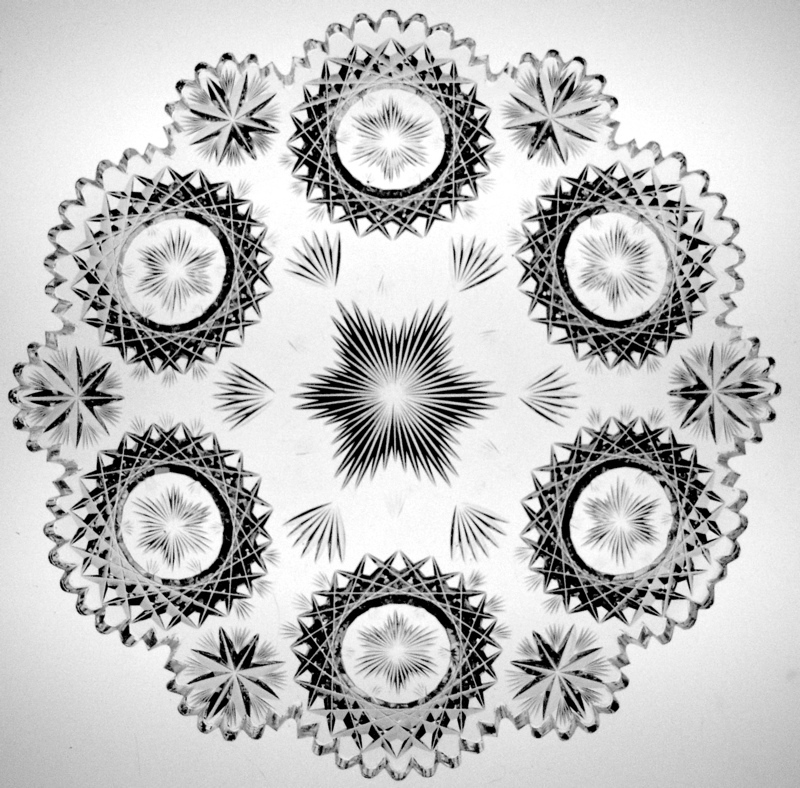 Its elegant approach and unique use of fanned star separates it from so many other typical patterns. The plate is signed in the center with the Hawkes trefoil logo. 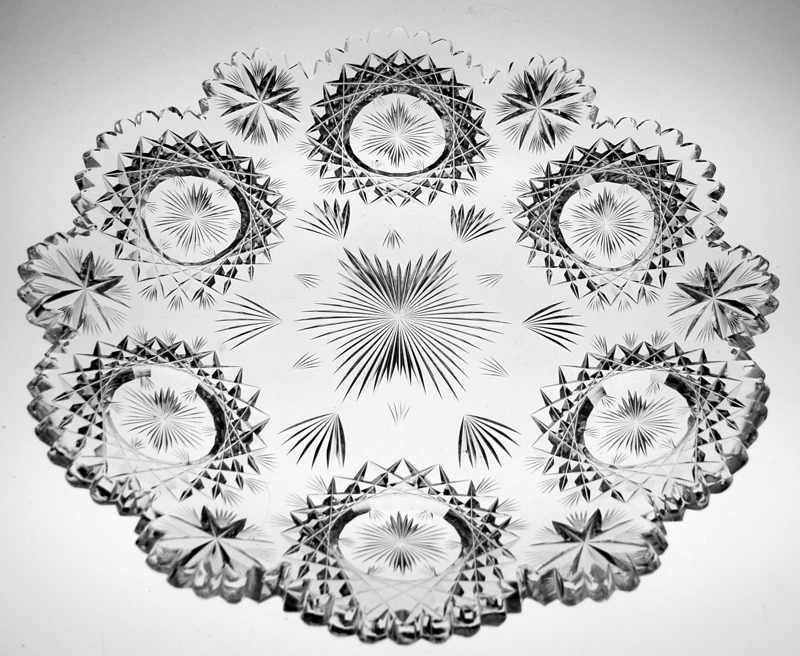 The center of the plate features a rayed star with additional fans pointing inward towards it. The fans alternate with larger ones facing the exterior of the plate. 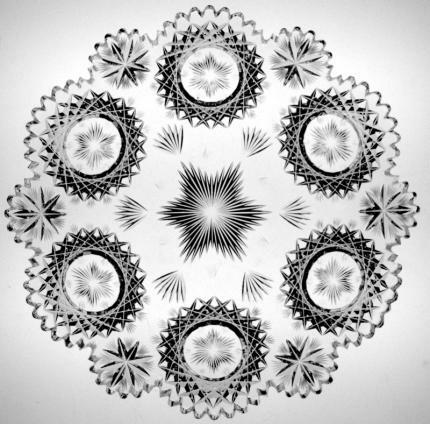 Six hobstars, with rayed centers surround the perimeter of the pattern and are separated by starburst/rayed stars. The playfulness and contrast of lines in this pattern is extremely tasteful and sublime. The plate is in perfect condition and measures 9 7/8″ and 1 1/4″ tall. 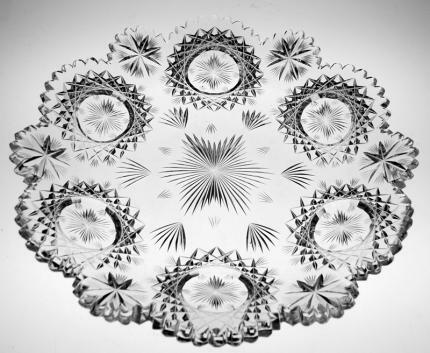 This plate exemplifies what Hawkes was able to achieve through innovative design – a clear leader of the Brilliant Period.